Sometimes, the need for a new heating or cooling system becomes an unexpected expense. In times like that, it’s good to know that financing your system is an option. That’s why T.F. O’Brien allows a financing option for your new system through Wells Fargo and Carrier®. And what’s more, you can easily apply for the Carrier credit card online. 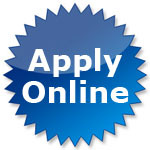 To apply online, simply click on the button on the right, and you’ll be taken to a convenient application form. And, if you need assistance at any time, we’re here to help. Call us at 516.488.1800 if you have any questions, and one of our comfort specialists will be more than happy to assist you.